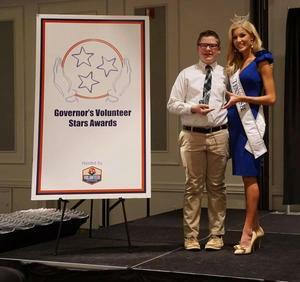 Jackson Love was honored by Governor Bill Lee at the Governor's Volunteer Stars Awards. 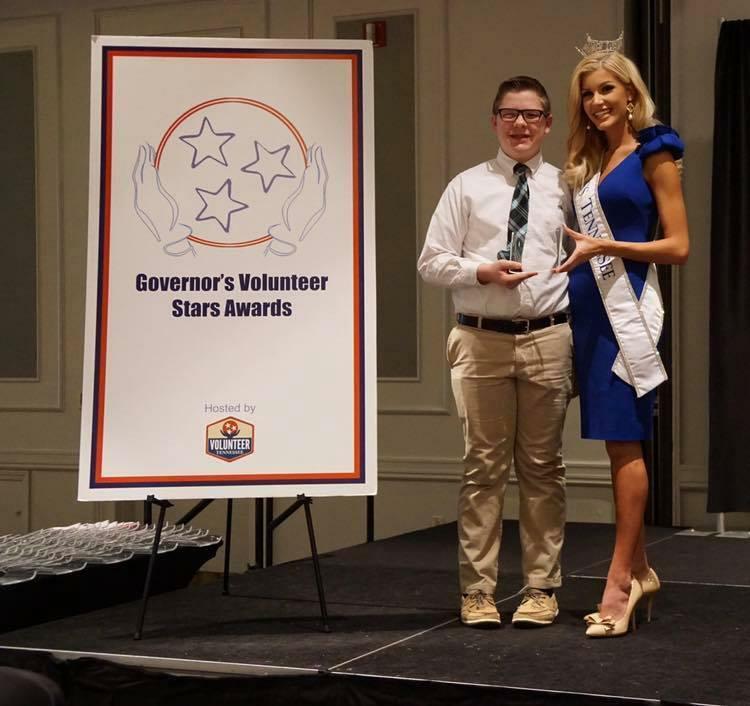 Jackson Love, 9th grader, was honored for his service with the Humane Educational Society at the annual Governor's Volunteer Stars Awards. He was chosen as the youth nominee from Hamilton County. While volunteering at the Humane Society's shelter, he can be found walking dogs or working with them in the play yards, which is extremely important in enriching their lives, both physically and mentally! Jackson is an impressive young man that shows great compassion and love for the animals in need throughout our community.